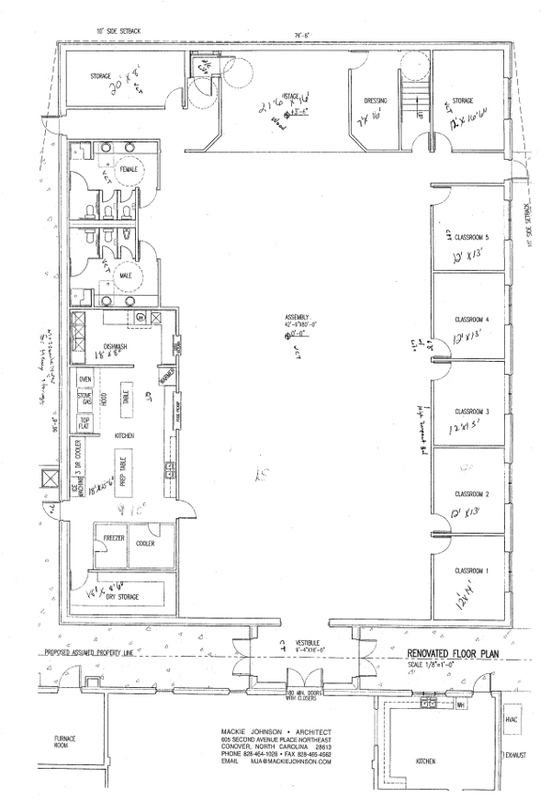 This is the proposed floor plan of the new Christian Life Center. There will be a larger kitchen area, five new, larger classrooms, and a stage area. The bathroom areas have showers, so that the building can be used as an emergency shelter. A basketball backboard will also be included. The assembly area is larger than the current fellowship hall facilities also.